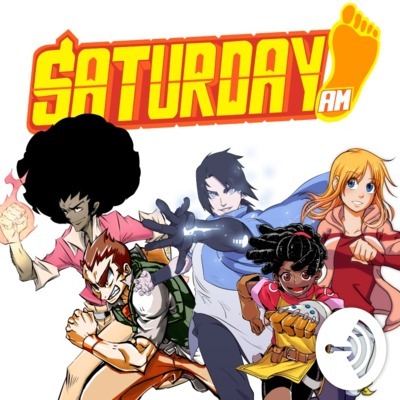 Covering the latest news on video games, comics, anime/Manga and culture from the most diverse shonen anthology in the world - Saturday AM. Updates on where we’ve been and where Saturday AM is going. This episode features Jin Chan Yum Wai, the creator of Saturday AM's XERO: King of Thieves! We discuss Nintendo, Chinese Marvel characters, Licensing news- Japan, Bleach, and more! Saturday AM Episode 5: New co-host format! We introduce the new co-host format to allow for faster episodes and more news to review. 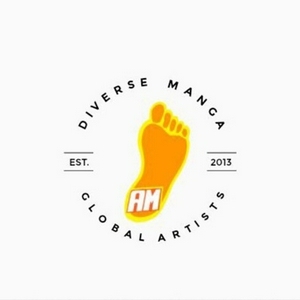 Listen to real geek talk from the makers of the World’s Most Diverse Shonen Manga anthology. March Art Madness reveal, Jeyodin interview, Knowledge Bomb, Wonder Woman 2 and Black Panther and more! Episode 2 - Anime Awards?!? We delve into the latest anime and manga news across Shonen Jump, Crunchyroll and more! BLACK PANTHER mini-review!! • Kanmi on Black Panther's accuracy • Kanmi on Story structure and cast • Kanmi on Killmonger • Final thoughts on BLACK PANTHER REVIEW • March Art Madness 2018 - get details on the event here. • More March art madness details! Listen to get REGISTRATION details • Saturday AM daily - latest comic news part 1 • Its a wrap - more news on Wizardworld Cleveland! Want to attend? Details inside!